Within hours, the mama leopard’s instincts led her to her crying babies, and their miraculous reunion was caught on camera! The expansion of human the population is a leading cause of deforestation and habitat loss for countless plant and animal species. Between the greed of industries and the booming demand for increased housing and farmland, humans are expanding on natural habitats at an astonishing rate. As people move in closer to native animal habitats, human conflict is inevitable. Since 1995, Wildlife SOS has been actively protecting India’s wildlife and conserving its endangered habitats. They help maintain the earth’s biodiversity and educate communities on sustainable alternatives to poaching. 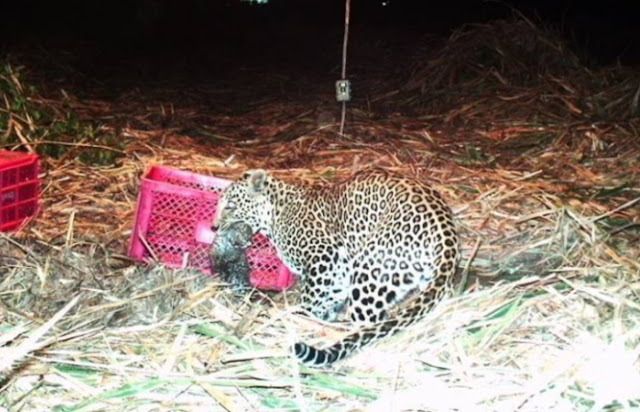 When they received a call notifying them of two tiny mewing baby leopards in a sugarcane field, they were quick to respond. Loss of habitat forces species like the leopard to find shelter in places frequented by humans, such as this sugarcane field where two baby leopards were discovered by farmers. 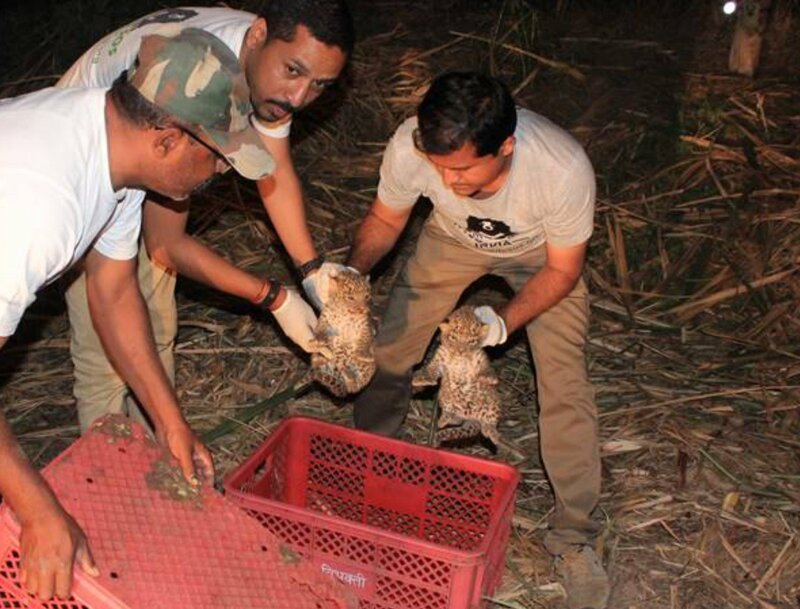 Wildlife SOS was there to help out these precious felines. 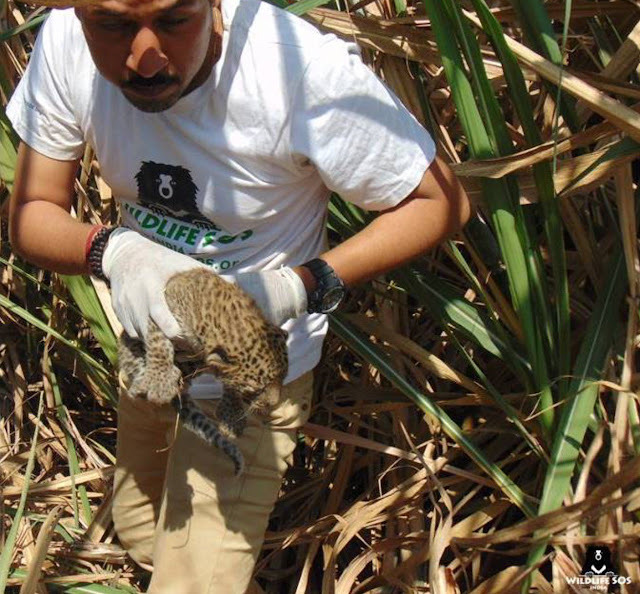 After examining the cubs and discovering they were healthy, the Wildlife SOS team were quick to release them back to nature where their mother was desperately searching for them. Responses to "Miraculous Reunion of Leopard Mama and Her Missing Cubs"